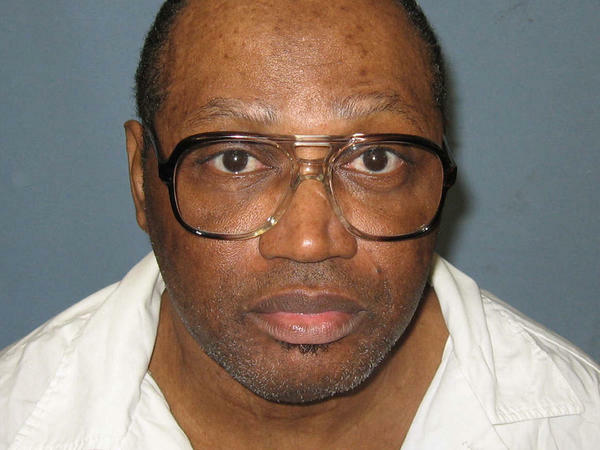 Vernon Madison was sentenced to death for the 1985 murder of a Mobile, Ala., police officer. The court blocked the execution of 68-year-old Vernon Madison, who suffers from dementia, asking a lower court to determine if Madison could "rationally understand" why he was being put to death. Attorney Bryan Stevenson, who argued the case for Madison, said he was "thrilled" with the ruling. "Prisoners who become incompetent due to dementia and severe mental illness are vulnerable and should be shielded from abusive and cruel treatment," Stevenson said in a statement. "The Court's opinion affirming the basic principle of a humane system of justice is a significant victory." Madison has spent more than 30 years in solitary confinement in Alabama, awaiting execution. In 1985, he shot and killed a police officer who had responded to a dispute involving Madison and his girlfriend. Ultimately sentenced to death, Madison has since had multiple strokes, suffers from vascular dementia, and has no memory of the crime, his lawyer says. The high court took the case to determine whether executing Madison violates the ban on "cruel and unusual punishment" in the Eighth Amendment to the U.S. Constitution. Not remembering the crime isn't a bar to execution, the court said in its ruling. "A person lacking memory of his crime may yet rationally understand why the State seeks to execute him; if so, the Eighth Amendment poses no bar to his execution," Justice Elena Kagan wrote for the majority. "Do you have an independent recollection of the Civil War? Obviously not. But you may still be able to reach a rational—indeed, a sophisticated—understanding of that conflict and its consequences," Kagan wrote. "Do you recall your first day of school? Probably not. But if your mother told you years later that you were sent home for hitting a classmate, you would have no trouble grasping the story." So memory loss alone won't bar execution. But, Kagan wrote, "if that loss combines and interacts with other mental shortfalls to deprive a person of the capacity to comprehend why the State is exacting death as punishment," then the execution is unconstitutional. "The sole inquiry for the court remains whether the prisoner can rationally understand the reasons for his death sentence." Simply being diagnosed with dementia isn't enough to trigger the Eighth Amendment, the court said. "Dementia also has milder forms, which allow a person to preserve that understanding" of why the state wants to execute him, Kagan wrote. It is only when a dementia patient doesn't "rationally understand" the reason for the execution that the Eighth Amendment prohibits it. It not only "offends humanity" to execute someone "so wracked by mental illness" that he doesn't understand why he's being killed, the court said; it also serves no "retributive value" to execute someone who "has no comprehension of the meaning of the community's judgment." The opinion was joined by Justices Ruth Bader Ginsburg, Stephen Breyer, Sonia Sotomayor, and Chief Justice John Roberts — who has recently joined the liberal justices in some close cases. The conservative Justices Samuel Alito, Clarence Thomas and Neil Gorsuch dissented. They argued that Madison's attorney improperly "switched to an entirely different argument" than the one the court had agreed to hear. Justice Brett Kavanaugh, who did not sit for the argument, took no part in the decision.